from organic oils of Palm, Coconut, Olive and Palm Kernel. end product more acidic, which is what our skin prefers. The final ingredients are pure therapeutic grade essential oils. The refill will fill your pump four times. Our friends at the Palace Hotel stock our soap for vacationers and we receive a lot of positive feedback on how much people love our soap! All of our bar soaps are completely natural, and are made from scratch in small batches by Lindsay right in our shop. To make the base for the soaps she uses a hot process combining coconut oil, shea butter, lye, glycerine, pure therapeutic-grade essential oils, & minerals (for color). 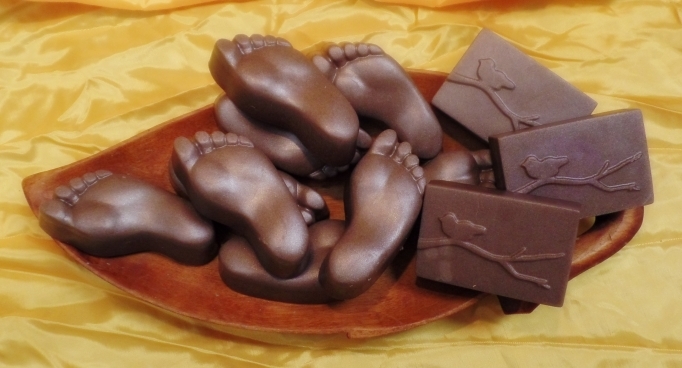 She then utilizes the medicinal properties of herbs for particular uses and pours them into fun molds. We use ground pumice stone in this soap to provide an awesome source of exfoliation to help make your feet happy! 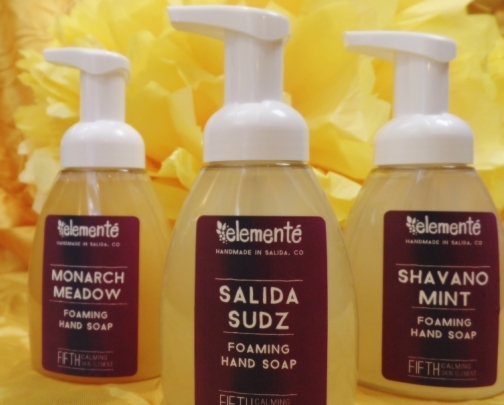 All of our soaps are all natural, and contain no harsh chemicals, artificial scents, or preservatives.